Syracuse’s Palace Theater is presenting a day of summer jazz at the storied Eastwood playhouse Aug. 19. 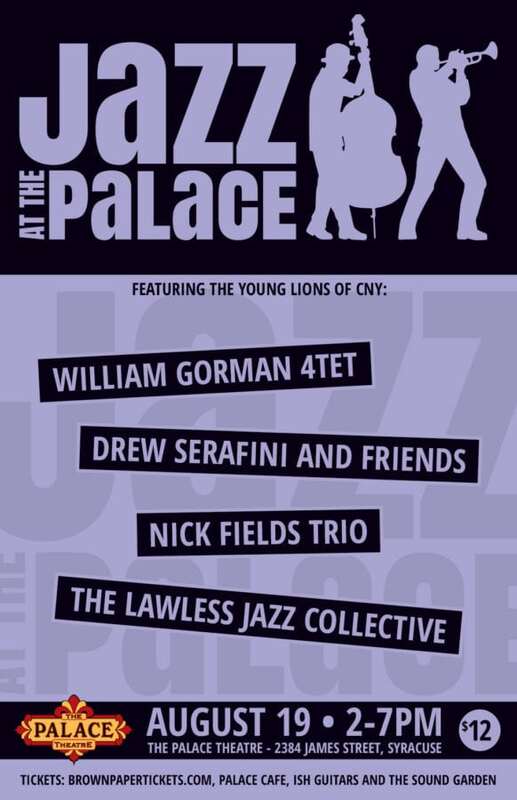 The CNY Young Lions of Jazz will feature the William Gorman 4tet with guest vocalist Gabrielle Gorman. Tickets for the all ages show are $12 and available at the Palace Commons Cafe, Sound Garden and Ish Guitars in Syracuse. They can also be purchased online through Brown Paper Ticket. Three acts will open the show. The Lawless Jazz Collective, feature trombonist Jake Lawless, guitarist David Millen, drummer P.K. White, bassist Sean Peters, and tenor saxophonist Jacob Penner. The Nick Fields Trio, led by Fields on jazz trumpet and vocals also features Dave Solazzo on piano and Josh Dekaney on drums. Drew Serafini & Friends rounds off the lineup. Guitarist Serafini will be joined by Dunham Hall on saxophone, Sean Peters, pulling double duty on bass, and drummer Keenan LeBlanc. Vocalist Aaron Ruiz will join the band for two songs during their set. William Gorman is a Syracuse native an a senior at William Paterson University pursuing a degree in Jazz Piano under the tutelage of pianists Bill Charlap and Harold Mabern. 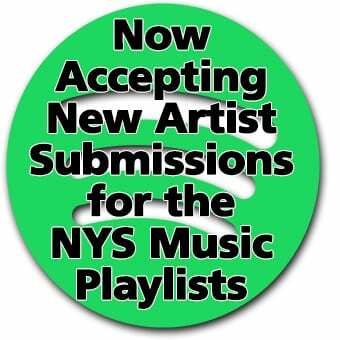 He’s an active member of the New York City jazz and blues scenes and has an impressive array of credits to his name. Gorman was recently in blues legend Joe Louis Walker’s touring band, where he performed throughout the United States and abroad, including a performance at Syracuse’s Funk ‘n Waffles in January 2017. Gabrielle Gorman is also a Syracuse native, now living in New York City. She possesses a unique voice and can manuever among several genres with ease. She has a B.S. in Musical Theater and a M.S. ABT in Theater and Performance Studies from the University of Buffalo. Joining the Gormans in the 4tet are saxophonist Sarah Hanahan. Hailing from Hartford, CT via Marlborough, MA, she has performed with Dave Pietro and Tom Palance and recently appeared at the Caramoor Jazz Festival. Drummer Eric Dupont was born and raised in New Hampshire and has studied under Winard Harper, Horacee Arnold, Bill Goodwin, and Billy Hart. Bassist Vincent Dupont recently enrolled in the Jazz Studies program at William Paterson University. He was a participant in Betty Carter’s Jazz Ahead program at the Kennedy Center in Washington as well as the Ravinia Steans Music Institute in Chicago.